Do you have a medical condition that affects your ability to work? Is this causing you and your family to struggle financially? If so, filing for Social Security Disability benefits may help you gain financial stability. Yet, filing for disability benefits can be complicated. The Social Security Administration (SSA) has structured guidelines they go by to test if your claim is eligible for benefits. When filing your disability claim, you will want to do all you can to showcase how you meet the requirements. You should avoid the common mistakes discussed below when filing for disability benefits. Making any of these mistakes could play a part in your SSDI claim getting denied. Having to provide this much information could lead to a mistake. Something as simple as writing a wrong telephone number for your treating physician could cause a delay in processing your claim. The SSA uses medical records to determine if your medical condition meets their criteria for eligibility. If you have not had regular medical treatment, you may not have the necessary documentation to show the severity of your condition. Also, the SSA wants to know what treatments your doctor has prescribed for your medical condition and the effect they have had on your condition. If you have not followed your doctor’s prescribe treatment, they may deny your claim. The SSA does not technically have a rule against you working while filing a disability claim. But, doing so could harm your chances of getting your claim approved. Before examining your medical condition, the SSA examines your current working and income status. They look to see if you are working and earning more than what they consider the level of substantial gainful activity (SGA). If you earn more than the designated SGA in the year you file, the SSA will deny you benefits. Even if you only work part-time, the SSA may view this as contradictory to your claim that you need disability benefits because you cannot work. They may also see collecting unemployment benefits as contradictory to your claim. In filing for SSDI benefits, you claim you have a medical condition which affects your ability to work full-time. In contrast, when receiving unemployment benefits, you claim you are “ready, willing, and able to work”. In fact, actively seeking employment is a requirement of receiving unemployment benefits. Without an adequate work history, the SSA may not have enough information to decide if your medical condition prevents you from doing other work. You need to check the status of your disability claim at least every 30 days. In each step of the application process, the SSA makes many decisions and may need further information from you. While the SSA should keep you informed of these things, often such things may slip through the crack. If the SSA makes any request, you should promptly provide them with the requested information. Missing important deadlines may cause a denial of your claim. 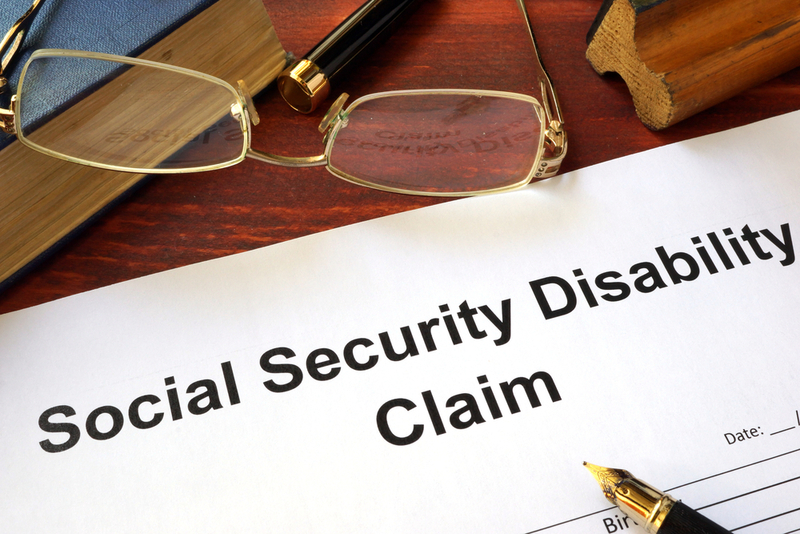 You can file your Social Security Disability claim yourself. But, as you have read the disability process can be complicated. The SSA has many requirements and criteria you must meet. It is easy to make a simple mistake that could jeopardize your claim. An experienced disability lawyer knows exactly what the SSA is looking for and how to best represent your claim. Statistics show that those who have a lawyer working on their claim increase their chances of getting approved for benefits. If you want to file a disability claim or would like to appeal a benefit denial, contact us for a free evaluation. Our experienced disability attorneys will work hard to help you get the benefits you and your family need.